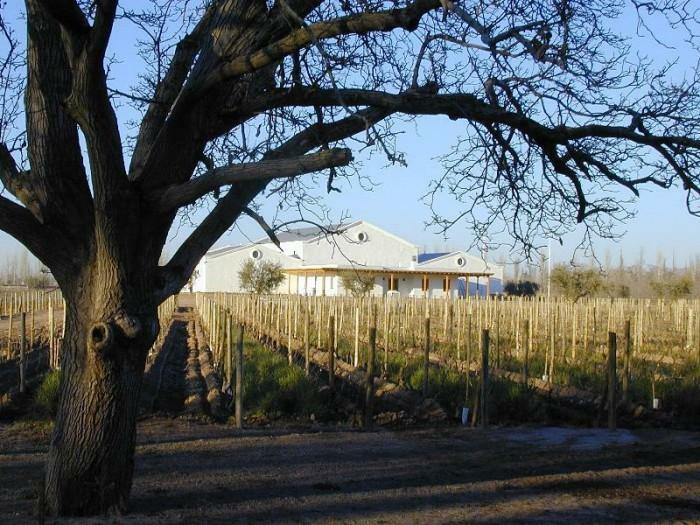 Presently Bodega Enrique Foster possesses two vineyards located in the Lujan de Cuyo, Mendoza, Argentina. The vineyards sit at an elevation of 3,000 feet above sea level on the eastern flank of the Andes, with hot days, cold nights and little rain. The construction of the cellars began by digging out a huge crater of more than 6000 cubic meters to create cellars which will accommodate up to 2000 barrels. The cellars were then totally buried under tons of earth and highly-insulating pumice stone to assure a constant temperature and humidity ideal for the ageing of our Malbec without the use of air conditioning. Wine Spectator 85"Juicy, with a good core of cherry pie, linzer torte and toasty vanilla notes. Rounded finish. Drink now. 6,000 cases imported."